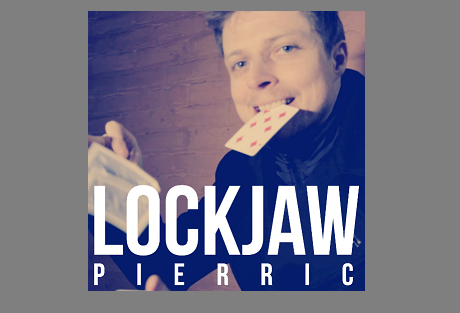 The 2015 FISM Grand Prix Champion, "Pierric" has been performing magic at the VERY highest levels. Today, he's finally teaching his favorite card routine. Perfected over a decade of live performances for audiences of 1 up to 1,000. 1. This is a fully polished, scripted routine with multiple phases. Not just a quick trick. It's ready to go right into your act, whether you do walk-around bar magic, or stand-up. 2. It's impossible, impressive, and definitely easier than it looks. PROFESSIONALS: The best in the world, teaching a masterpiece they've been perfecting for a decade?? Doesn't get better than that!! Once you learn the routine, you'll have a piece of entertainment you can perform with any deck of cards, anywhere in the world. And as an international performer of the highest caliber, Pierric knows the value of tricks that are amazing even when there's a language barrier. By any measure, Lockjaw is a WINNER.